The impossible is possible on Earth-2. The Flash is new tonight at 8/7c! Barry, Cisco, and Wells will be making the highly-anticipated trip to Earth-2 in the appropriately titled episode "Welcome to Earth-2." Their rescue mission to save Well's daughter, Jesse, from the clutches of Zoom will encounter some twists and turns that include having to face doppelgangers of Barry's allies Caitlin Snow and Ronnie Raymond as evil metahumans Killer Frost and Deathstorm. Team Flash will also see other familiar faces but time will be of the essence if they want to get back to Earth-1 in time. Check out the synopsis and a scene from Tuesday's episode below. Barry (Grant Gustin), Wells (Tom Cavanagh) and Cisco (Carlos Valdes) journey to Earth-2 to rescue Wells’ daughter, Jesse (guest star) from Zoom. 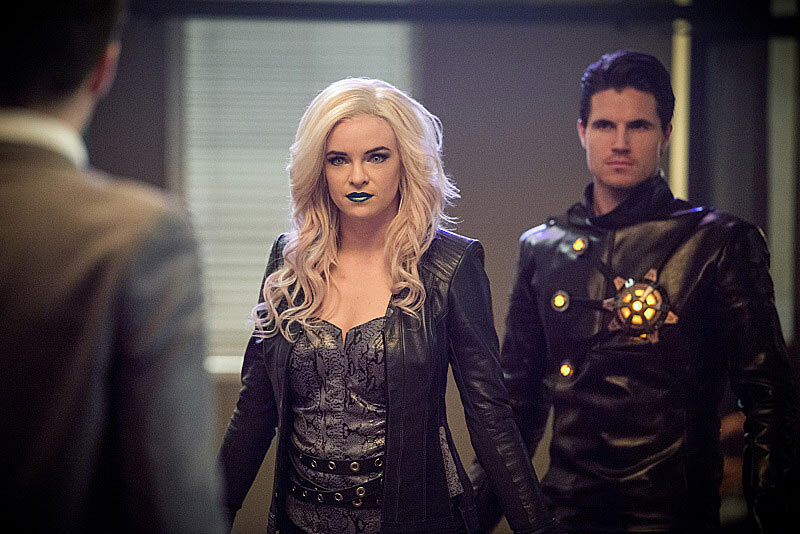 Barry is stunned when he runs into Earth-2 Iris (Candice Patton) and Joe (Jesse L. Martin), but nothing prepares him for meeting Killer Frost (Danielle Panabaker) and Deathstorm (guest star Robbie Amell). Meanwhile, back on Earth-1, Jay (guest star Teddy Sears) has to take over the Flash’s responsibilities when a meta-human nicknamed Geomancer (guest star Adam Stafford) attacks Central City. Millicent Shelton directed the episode written by Greg Berlanti & Andrew Kreisberg and Katherine Walczak.